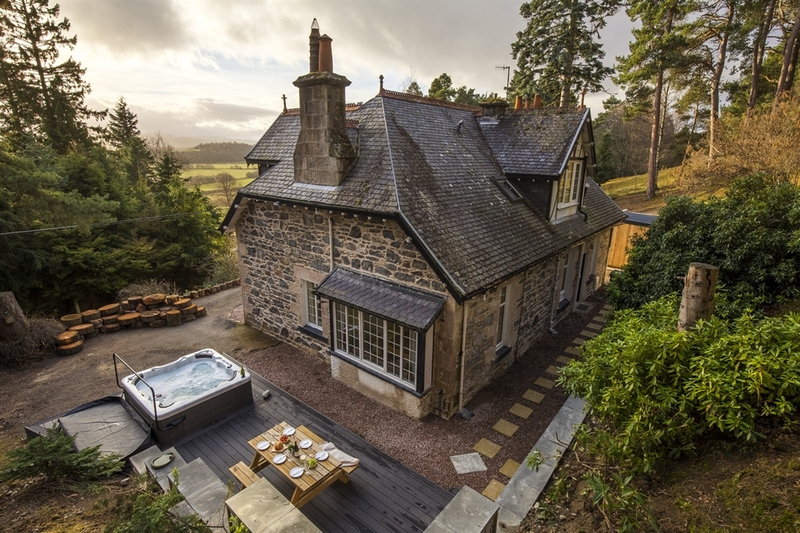 Westcott is an elegant Edwardian villa with a luxurious outdoor hot tub. 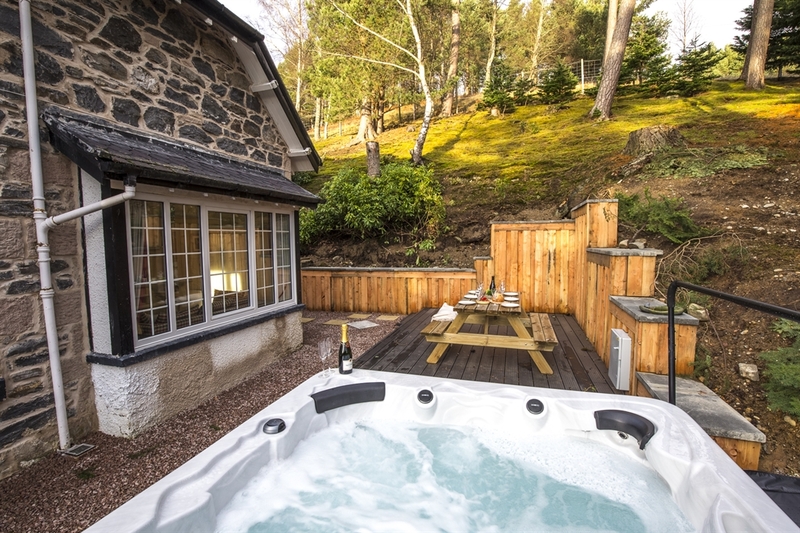 It is set on a quiet street above the Highland village of Kingussie. 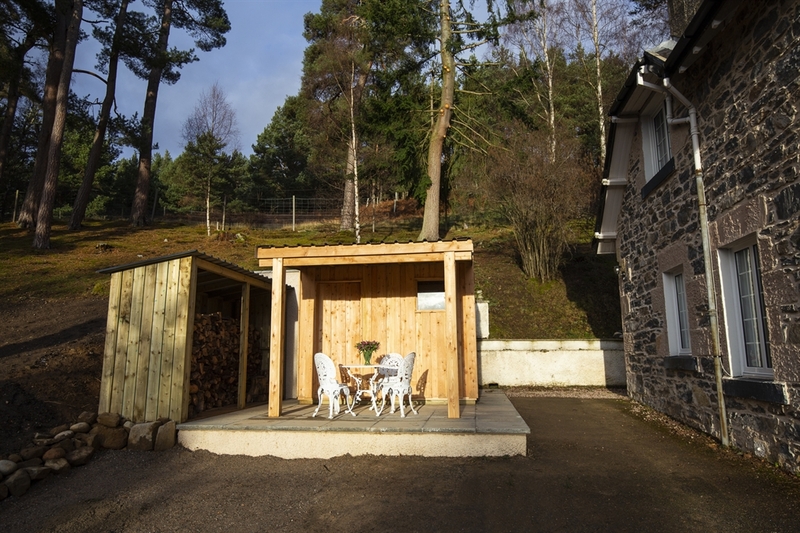 It has 3 spacious bedrooms and sleeps 6 people, a lovely kitchen/diner, a wood burner in the lounge as well as a table tennis room. There is a large front porch with all the space you need for all your group’s outdoor wear. Then off the entrance hall you’ll find the drawing room with its beautiful stone fireplace, and relaxing seating. Across the hall the games room is ready to host some friendly competition over the table tennis net – and the perfect place for teenagers and kids to have their own space whilst adults relax in the drawing room. The large dining area is open plan to the light and bright kitchen, which contains all the modern appliances you will need to feed and water up to six of you in style. Through the utility and laundry room with washer-dryer and drying pulley, you access the downstairs loo and shower room. Upstairs is the large master bedroom with an ensuite shower room, as well as a double and a twin room. There is also a large family bathroom with double size shower and bath. At the top of the staircase a perfect little nook has been created for those who love to read, with a chaise longue placed by the window, and its own little reading lamp. 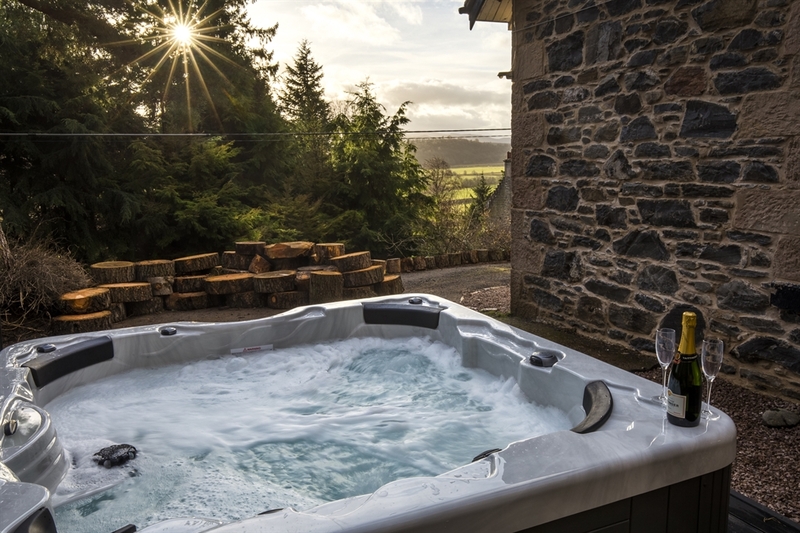 Of course reading is not obligatory – you may prefer to simply gaze out at the fabulous views across to the Cairngorms peaks of Creag nan Bodach and Creag Druim, watch the wildlife through binoculars or even enjoy a little nap! The house is filled with light and the large windows everywhere make the most of the wonderful views. Westcott has been recently updated and refurbished; its original grand Edwardian character and beautiful period features and details have been perfectly incorporated into its contemporary interior design, making it feel warm, light and extremely comfortable. 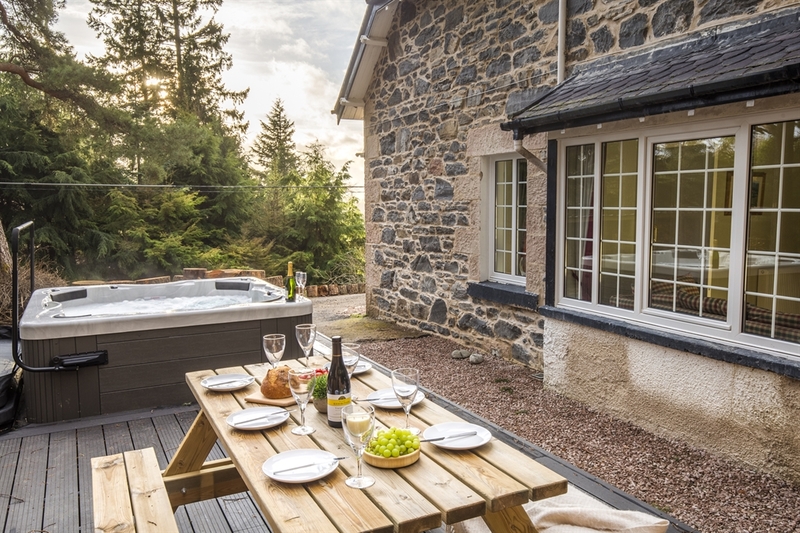 You can enjoy the outdoors while relaxing in the hot tub or sitting eating alfresco on the decked area or the patio to either side of the house, taking in the beautiful views.